I’m so happy about my current writing projects, I want to share what’s going on. 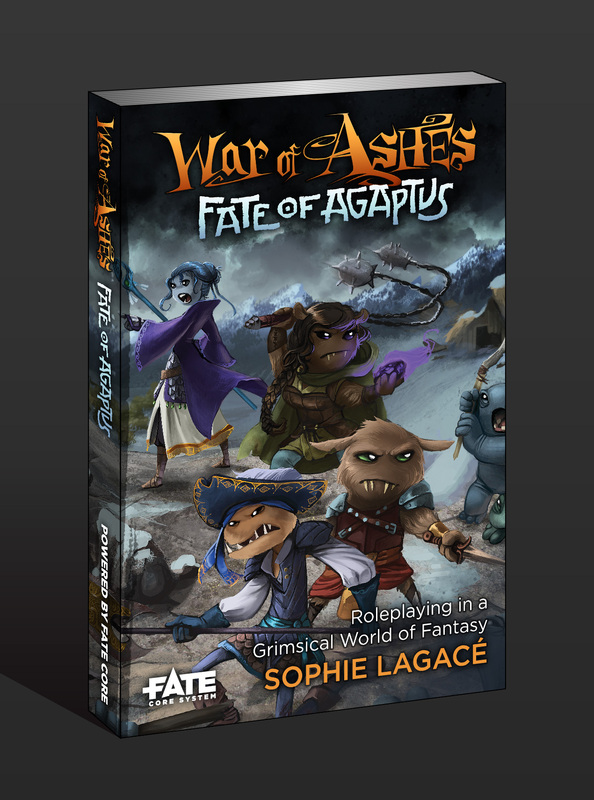 First, the layout of War of Ashes: Fate of Agaptus is in its later stages and looks so darn good! Dale Horstman is doing a fantastic job. If you think this cover looks nice—and it does!—just wait until you see the whole thing. The great spirit Sisiutl has taken it upon himself to help humankind grow in wisdom and strength. He sees light and dark in each soul, and coaxes out the light or punishes evil. Those he finds worthy become heroes — protectors of the Coastal People and mediators with the Spirit World. Bonded with the great water dragons that are Sisiutl’s progeny, they will fight monsters, arbitrate disputes, harvest knowledge, and face the darkness in their own souls. Sisiutl’s Children is a Pacific Northwest fantasy setting based on the coastal Native cultures — Haida, Kwakwaka’wakw, Nuu-chah-nulth and others — mixed with the dragon-riding tales of Naomi Novik and Anne McCaffrey, where the heroes battle supernatural threats to protect their clan. Will you ride the dragon into battle or will you be the dragon? And thirdly, I’ve also lined up an assignment for Vigilance Press, an as-yet unannounced project in their Tianxia line. This is all so exciting! Credits: War of Ashes cover mockup: art © 2015 ZombieSmith, layout by Dale Horsten, coming out soon from Evil Hat Productions. Sisiutl mask photo licensed under Public Domain via Wikipedia—carving by Oscar Matilpi. Posted on March 10, 2015 by mechanteanemonePosted in books, games, rpgs, writingTagged books, China, Evil Hat Productions, fantasy, Fate Core, legends, martial arts, mythology, Native American, rpgs, Tianxia, Vigilance Press, writing, wuxia.